Our passion at the Ageing Sea is to build strong memorable brand stories for our clients that resonate with their audiences helping them to achieve success. The Ageing Sea [ey-juh n-see] is a creative agency located on the Sunshine Coast established in 2016. Our passion is to build strong memorable brand stories for our clients that resonate with their audiences helping them to achieve success. 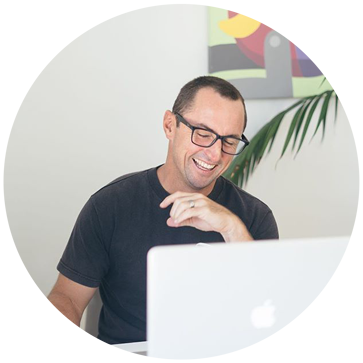 Kyle Nielsen has more than 20 years advertising and branding experience working with a diverse range of clients from large logistic, recruitment and resource companies, to not-for-profit sporting organisations and government agencies. He has experience in developing products and brands for an award winning digital start-up with a passion to continue working along side emerging technology businesses to help them grow. Kyle works across all aspects of creative, communication and brand development utilising all disciplines and mediums including tv, radio, digital and print. With over 10 years marketing experience working across multiple industries and business models including natural and organic small business; health and wellness resorts; private medical institutions and not-for-profits, Sacha is well versed in multi-tasking and being the jack of all trades. With a majority of her recent experience working in E-commerce businesses creating regular digital content, managing websites and social media accounts is all in a days work. Sacha enjoys working with clients to create inspiring and motivating content in all forms and is known by some for her entertaining story telling abilities! — Rob Freeman, CEO, Haynes Group. Brand Development (Name, Positioning Line, Brand / Corporate Identity or Logo Design, Style Guide, Brand Rollout) across multiple industries including: Corporate, Mining and Resources, Recruitment, Property, Education and Events. Annual Reports, Brochures, Magazines and Catalogues. Website Design and Development (Craft, Squarespace, WordPress), Domain Setup, Hosting and On-going Maintenance.